As 2017 comes to a close, I want to thank you for the privilege of serving as Chair of the Montgomery County Board of Commissioners. This year has been challenging on many fronts - all of which have strengthened my commitment to serve in public office. Below, you can read updates about my work since my summer newsletter. 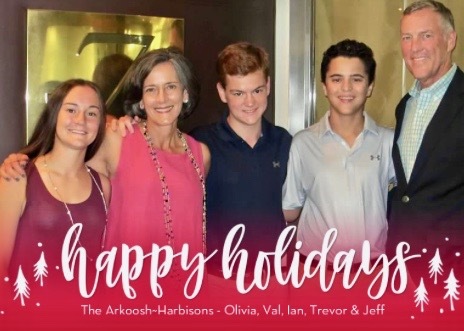 But most importantly, from my family to yours, I wish you the peace and joy of the season and a most heartfelt hope for a happy, healthy, and safe New Year! The County’s $403.4 million budget and five-year Capital Improvement Plan are a result of months of careful strategic prioritization and years of strong fiscal management. In 2018, we will continue rebuilding and improving our infrastructure, expand our county trail system, provide important health and human services to seniors, veterans, and children, reduce homelessness, and invest in our county employees. This fall we announced that deaths from opioid overdose remained flat for the first half of 2017 compared with the first half of 2016. This hopeful result is due to a multi-pronged strategy involving human services, EMS, and law enforcement working together to save lives. Looking forward, the County has received two grants that will allow us to test the impact of starting substance use disorder (SUD) treatment prior to release in our Correctional Facility and to test a program that diverts some individuals arrested with a SUD into treatment, prior to trial. You can read about our efforts here: http://www.valarkoosh.com/news/i-couldnt-believe-i-was-doing-it-addicted-towns-of-pa. The best defense is a good offense and no one does it better than smart, experienced local reporters. But these days local reporters are vanishing as local media struggles to survive. 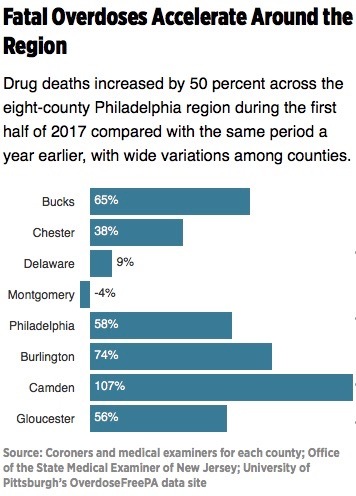 Read my OpEd on this crisis in the Philadelphia Inquirer: http://www.valarkoosh.com/news/with-less-local-news-coverage-wholl-keep-an-eye-on-government-officials. Montgomery County, home to about 825,000 people, is carved into 5 Congressional districts. None of the 5 members of Congress live in Montgomery County and none have more than one-half of their constituents in the County. Based on our population and the average population of a Congressional district (about 715,000), the County should have no more than two Representatives. 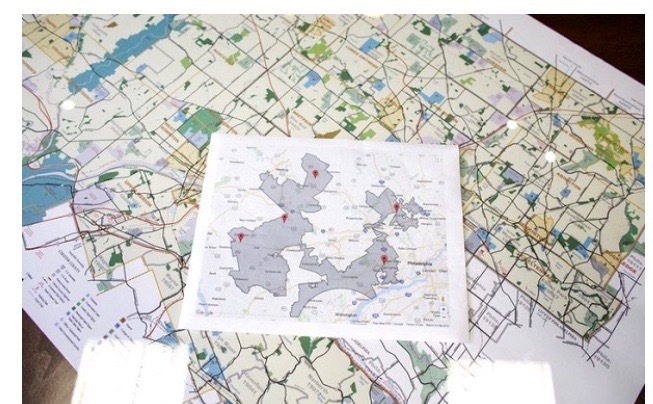 MontCo is part of one of the most gerrymandered districts in the United States – PA-7. You can read more here: http://www.valarkoosh.com/news/were-a-joke-life-in-the-nations-most-gerrymandered-district. I spent my medical career working to keep women and their families healthy and safe. That is why in October I stood with Pennsylvania Attorney General Josh Shapiro and Planned Parenthood of Southeastern PA when the AG’s office sued the Trump administration over the rule that would have made it easier for employers to deny health insurance coverage of contraception on moral or religious grounds and spoke about how this ruling would harm women. I’m happy to report that two federal court judges, Judge Wendy Beetlestone in PA and Judge Haywood Gilliam, Jr. in California (ruling on a different suit), have temporarily blocked this rule. 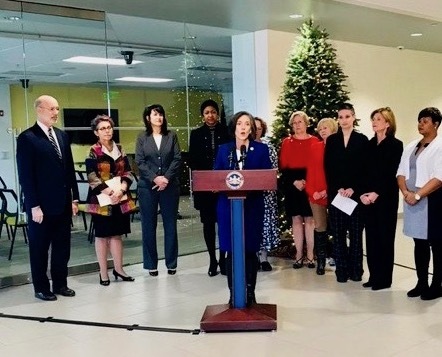 In mid-December, legislators in Harrisburg passed SB3, a bill that would legalize forced pregnancy after 20 weeks – even if the fetus had no hope of surviving after birth. I was proud to stand with Governor Wolf and explain why this bill was bad medicine. Many of you called your legislators to demand a “no” vote on SB3. Although the bill passed, as expected, there were not enough votes to override Governor Wolf’s veto of this unconstitutional legislation. In Pennsylvania, less than 2% of abortions occur after 20 weeks but a woman making the personal and complex decision about abortion later in pregnancy needs access to all safe and legal options without government interference. Every pregnancy is different and for now, these decisions will be made by a woman, in consultation with her doctor, her family, and her faith.